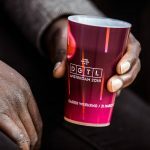 Confronting the unsustainable principles of the current festival model, world-renowned electronic music festival, DGTL, is striving to become the world’s first circular festival by 2020. 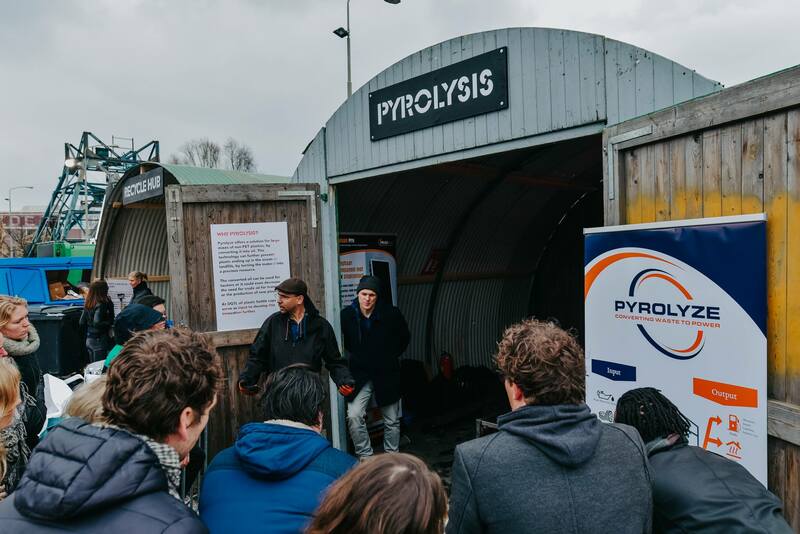 For a second year running Metabolic teamed up with DGTL to map the festival’s material, waste, water, and energy flows and identify intervention points for circularity. 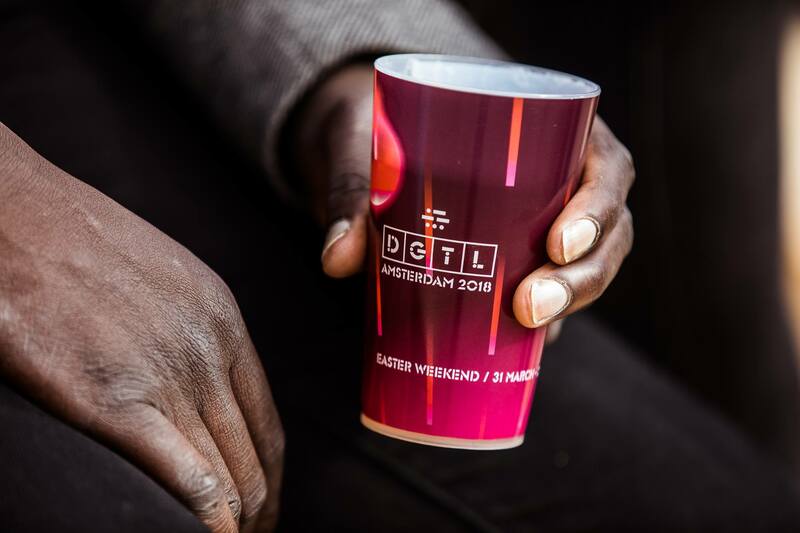 World-renowned electronic music festival, DGTL, welcomes nearly 40,000 visitors to the NDSM- Docklands in Amsterdam North every year. 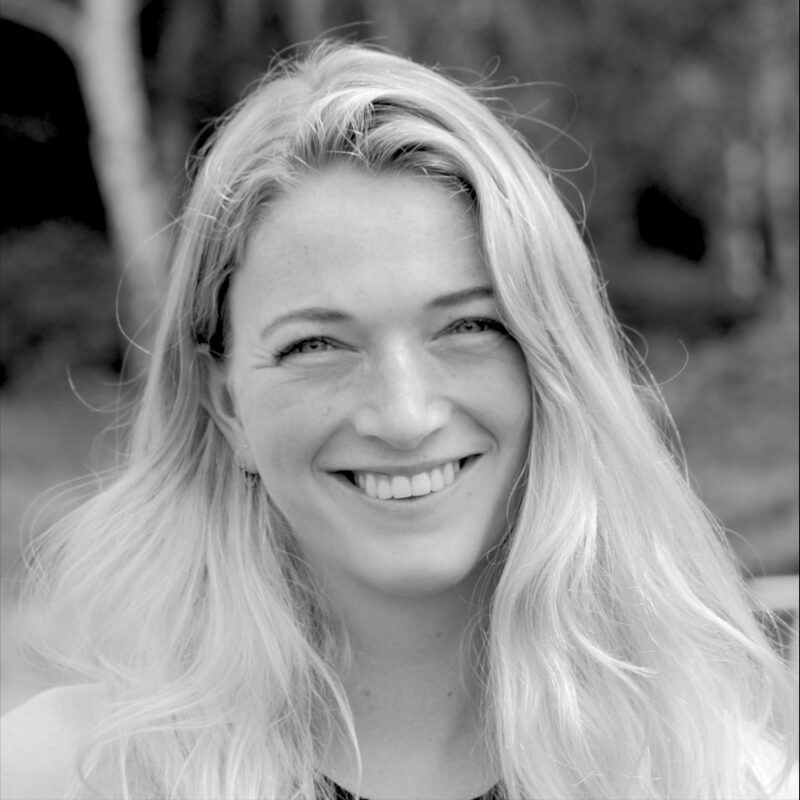 Festivals of this scale, which features six editions across three continents, demand immense resources and have the potential to produce tons of damaging waste. 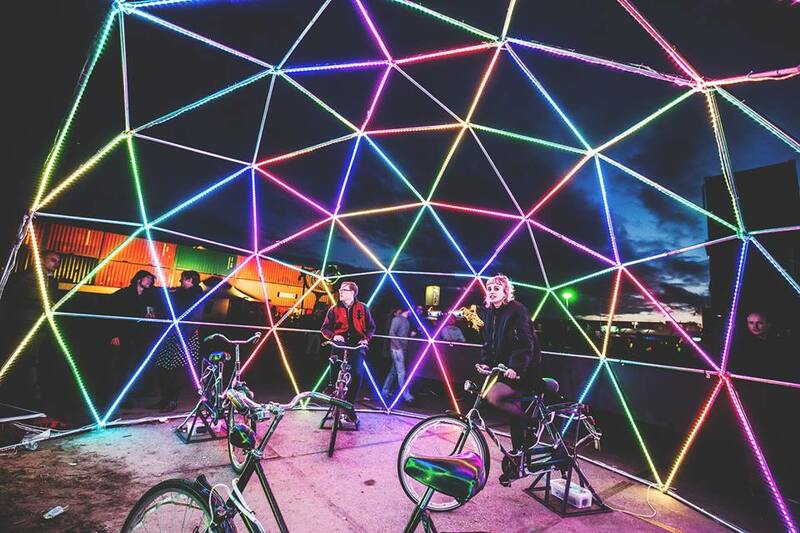 In 2017, Metabolic was commissioned by DGTL to map out the festival’s material and waste flows, transition from waste management to resource management, and prioritize impact hotspots for future editions. 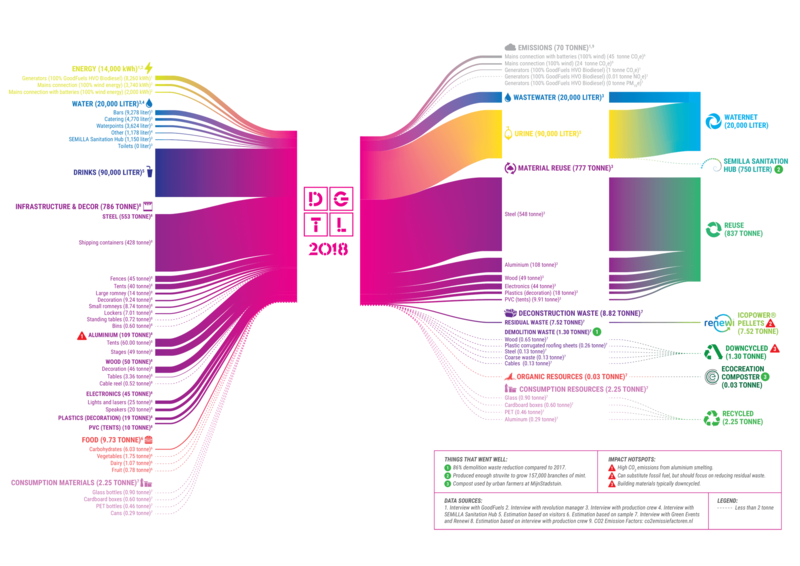 In 2018 Metabolic again worked with DGTL to map not only material and waste flows, but also energy and water flows, the different kinds of environmental impacts these flows are associated with, and the carbon footprint of artist and visitor travel. 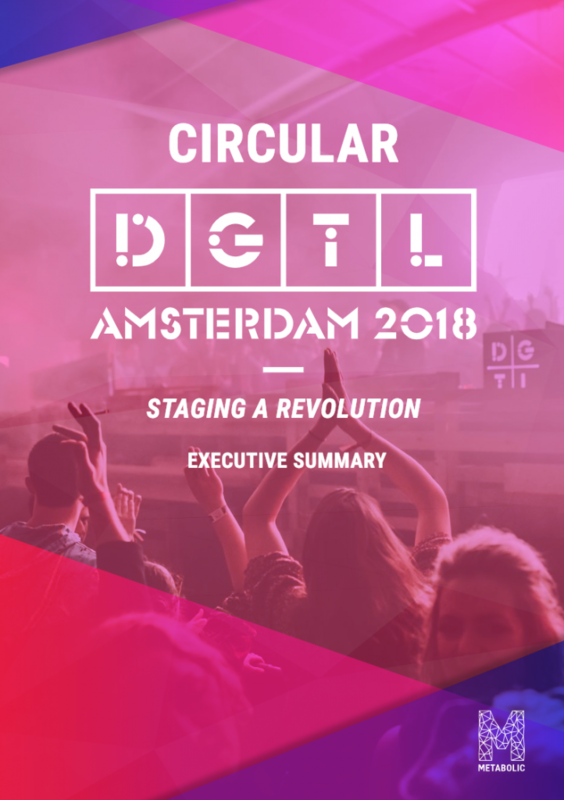 Using this data, DGTL has been able to answer some key questions about where the festival should focus in order to achieve a circular state, and continue its exemplary efforts in bringing sustainability to the forefront of the festivals industry. 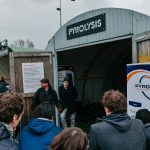 Based on learnings from its 2017 edition, in 2018 DGTL made a number of fundamental changes to the set-up and operation of the festival, including a hard-cup rotation system, Circular food court, design for dissassembly, a recycle and pyrolysis hub.